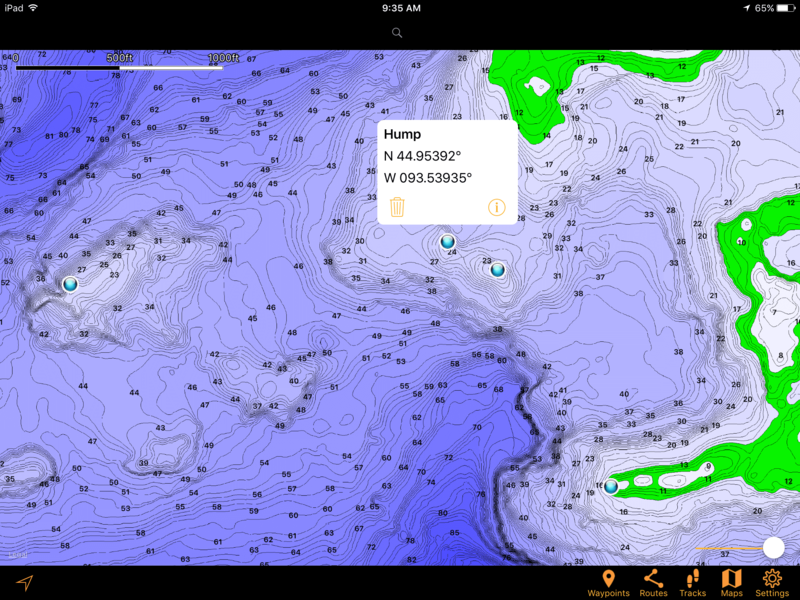 Humminbird has recently launched a new app for iOS and Android devices called FishSmart. 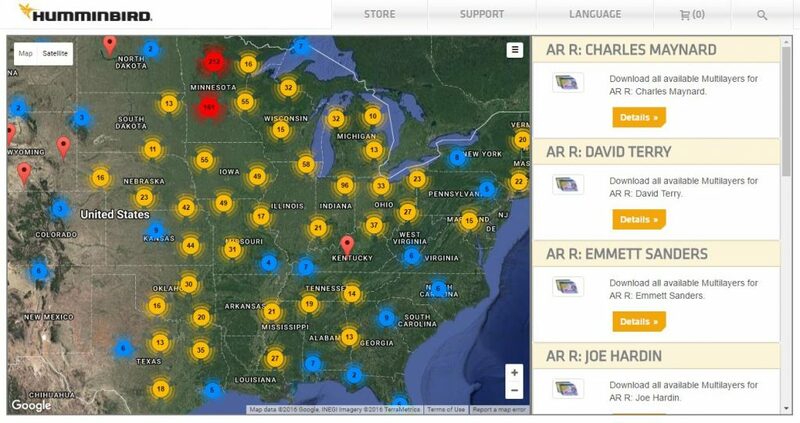 It provides the ability to view your ChartSelect maps as well as purchase new maps directly from your device. Navionics has had a pretty good mapping app for several years now, so it’s nice to see another option for our mobile devices. FishSmart is free to download, but to be useful you need to purchase a map or download your previous ChartSelect maps. In comparison Navionics is a one-time $49.99 purchase and you get all the USA maps. 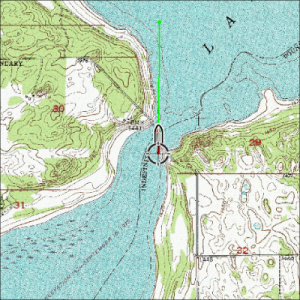 However, LakeMaster maps have some of the best detail around, and many times have much better level of detail than Navionics, so it’s exciting anglers now have the ability to view them while not sitting in the boat. You need to register an account with ChartSelect first to get the most out of the FishSmart app. This will be a different account than your myHumminbird account. Once you confirm your account through your activation email, you can login and start looking for lake maps. You’ll want to go to Store > LakeMaster to purchase maps. From here it’s as simple as typing in your lakes name, or using the map to locate it. Once you see the red pin, click it and the layer options show on the right. Here are the types of layers available (some lakes have more options than others). 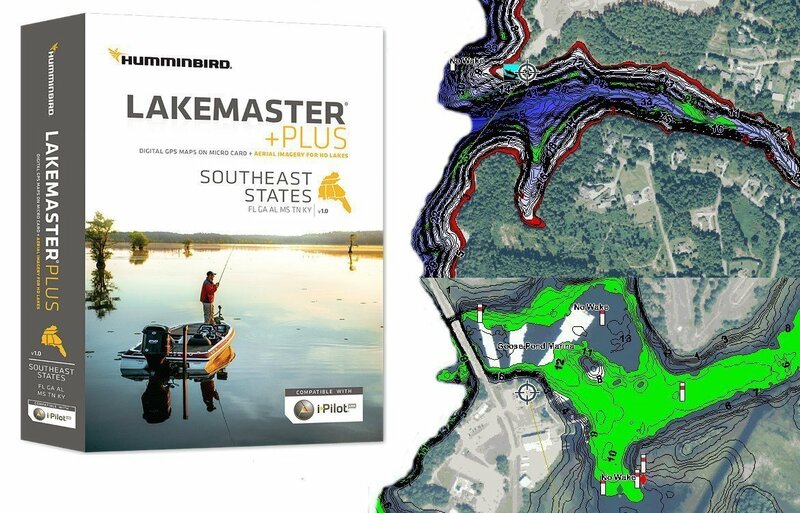 HD Contours – The same LakeMaster contour maps you are familiar with on Humminbird units. SmartStrike – Adds the SmartStrike function on units with SmartStrike capability. Aerial Photos – Adds satellite imagery of the surrounding land. Sometimes there are multiple years available, which can be useful if your lake has significant water level changes. 2D Shaded Relief – This is a relief map that creates a 3D effect of the lake contours. See the thumbnail to the right for an example. Topographic – Provides elevation change information. You can see information about what natural features are present such as marshes and creeks, as well as elevation changes near the water such as points and bluffs. Note: Not all layers work with all units yet. This is functionality they say is being added shortly. In general, you can use the HD Contour and SmartStrike layers on all Helix and Onix units, but the additional layers like Topographic and Aerials are currently only usable on the Helix G2N models. 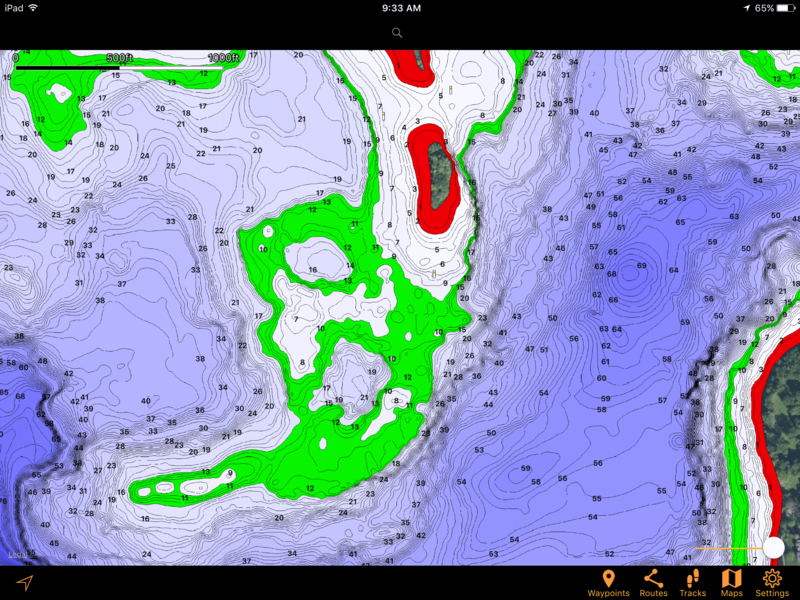 As far as I can tell, only the HD Contour layers are usable on the FishSmart app. You don’t need to buy the aerial layers, as a satellite layer is visible by default in the app. However, it would seem likely that more layers would become available in future updates to the app. After you purchase all the layers you want, it’s time to download to an SD card to use on your Humminbird unit. Follow the instructions given after you purchase. They are quite clear, and you can see them here. Older units can only support 1 ChartSelect map per encrypted SD card, while the G2N units support “Multilayer” and multiple maps per card. As always, there may be future updates for more units to support multiple maps. There are two ways to get maps onto your FishSmart app. You can purchase and download directly within the app, or you can link your app to your ChartSelect account by going to Settings > Login > Link to ChartSelect. Then to view your maps, go to Maps > Owned > Tap the Download icon. Once downloaded, go back into Maps and tap the lake you want to view, and you will see a checkmark. 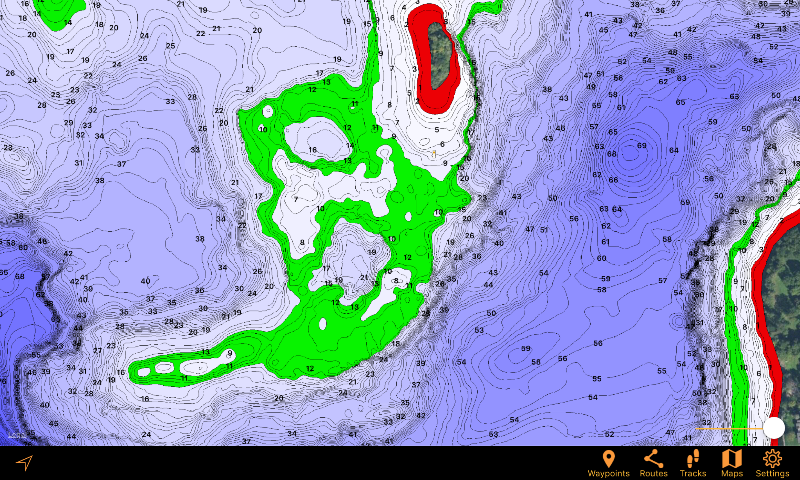 This will activate the Contour map onto the screen. The map functions almost exactly like it does on a Humminbird unit. Inside the Settings > Map Options menu, you have the option to highlight a depth range, set a water level offset, and a shallow water highlight. To add a new waypoint, simply long tap the screen and a pin will be dropped. You can edit the name of the waypoint, as well as export each individually as a .gpx file that can be saved to an SD for use in a Humminbird unit. Overall, I think the FishSmart app is a welcome addition to the mapping options for Humminbird products. The layers are limited to just HD Contours at this time, but it’s only just been released. I would really like to see the ability to download an entire region of maps if you’ve purchased the LakeMaster card. The cards are expensive to begin with, so it would be nice to have the ability to view them from the convenience of your phone or tablet when you’re off the water or fishing from a friend’s boat. So for now, FishSmart is really nice for use with your home waters, but if you travel to a lot of different lakes, you’ll probably want to use it in addition to the Navionics app that covers more bodies of water. 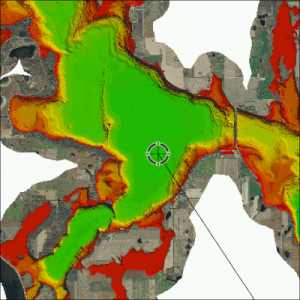 If you already have purchased a map with ChartSelect, then FishSmart is a must have app.